« Stafford “magically” celebrates its 20th anniversary. 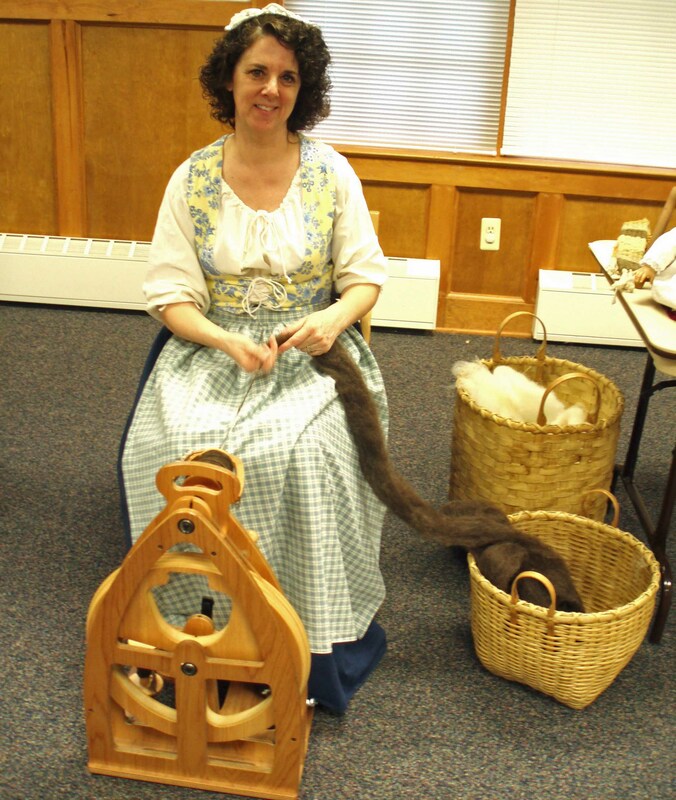 Tags: "Ocean County Library Waretown"
In the midst of this past weekend’s furious storm, a few brave souls gathered to attend Niki Giberson’s program on colonial wool spinners and their role in American history. Niki and her husband own and operate the Swan Bay Folk Art Center in Port Republic. Along with the experience of demonstrating fiber arts for 30 years and running her business, Niki brought to this program a wealth of information on America’s traditional crafts. You’ll find additional information about her in Bob Birdsall’s book “People of the Pines”.